L to R: two representatives from Willis Towers Watson; ScottGreen, Tracy Hart, Josh Fisk and Sandra Rotty - all of Tarlton Corporation; and Eddie Stewart, president of AGC of America. More than 100 Missouri contractors and staff from the Associated General Contractors of Missouri returned home after a momentous week at the Associated General Contractors of America national convention in Denver, April 1-4. Two of their own assumed national leadership roles in the 26,000-member organization, member companies throughout the state took home national awards, and AGCMO was recognized with special chapter awards for diversity & inclusion, and for community service. 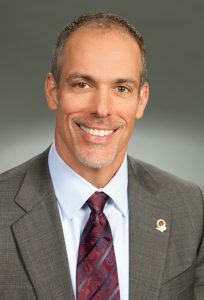 Dirk Elsperman, executive vice president, COO of St. Louis-based Tarlton Corp., was installed as 2019-20 president of the AGC of America’s board of directors on April 4. Kyle Phillips, vice president of Herzog Contracting Corp., based in St. Joseph, MO, also assumed the role of vice chair of the Highway Division at the AGCA convention. 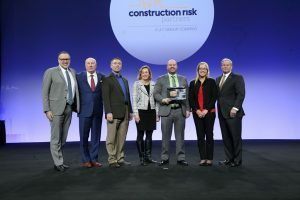 AGCMO member companies also were recognized nationally for safety excellence and specific construction projects, outstanding contributions to political action efforts, and diversity and inclusion. The AGCMO chapter also received special awards for leadership in diversity & inclusion, and for community service and outreach. 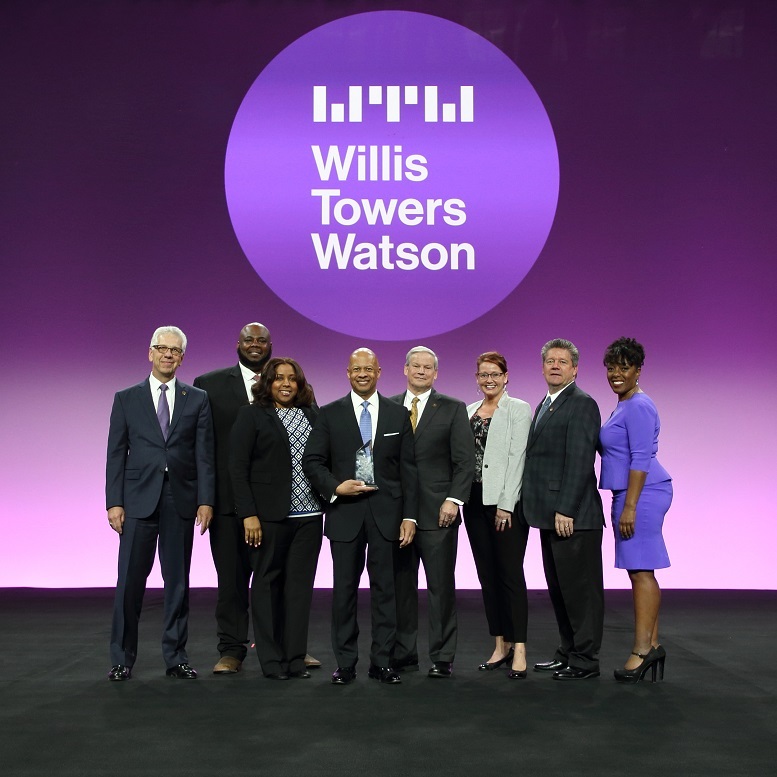 Two companies took home awards in the 20th Annual Willis Towers Watson Construction Safety Excellence AWARDS (CSEA), elite awards that recognize companies that have developed and implemented premier safety and loss prevention programs and showcases companies that have achieved continuous improvements and maintenance of their safety and health management systems. 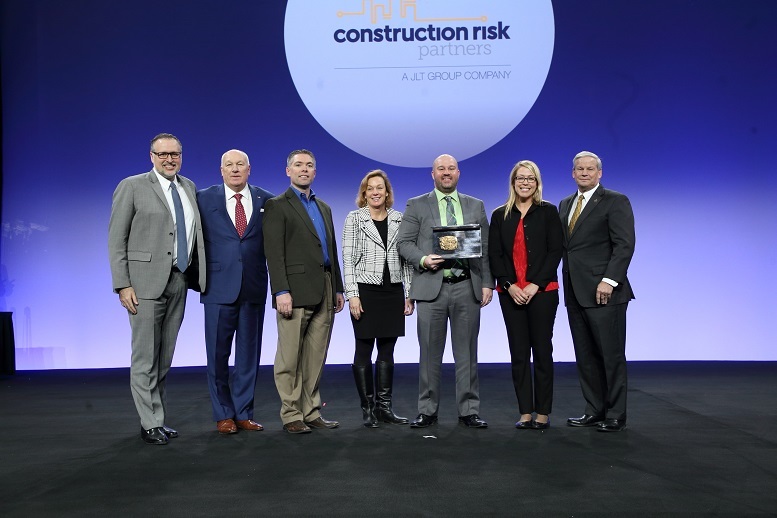 HNTB Companies, with offices in Kansas City, MO, captured First Place in the Service Provider & Supplier Division (over one million work hours) and Jefferson City, MO – based Twehous Excavating Co., Inc. was awarded First Place in the Heavy Division (under 200,000 work hours). Tarlton JLT Build America Award (L to R) two representatives from Willis Towers Watson; ScottGreen, Tracy Hart, Josh Fisk and Sandra Rotty – all of Tarlton Corporation; and Eddie Stewart, president of AGC of America. The JLT Build America Awards honor AGC members who build the nation’s most impressive construction projects ranging across the building, highway and transportation, utility infrastructure, and federal and heavy divisions. 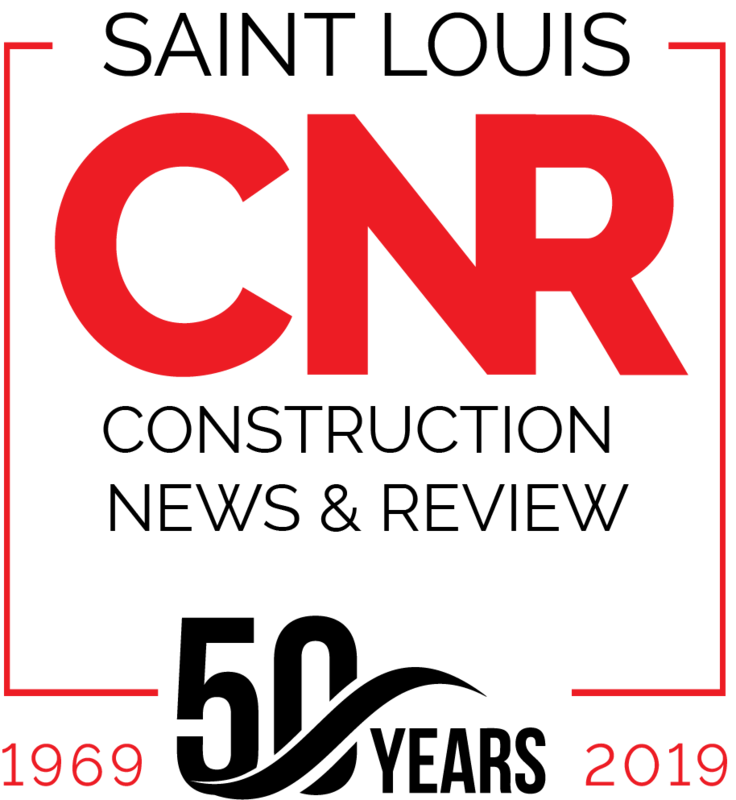 These projects, with their vision, scope, and grandeur, literally dare to challenge, dare to change the industry and the way we build. Tarlton Corp. was a winner for the Missouri Botanical Garden’s Stephen and Peter Sachs Museum in the Building Under $10 million – Renovation category. Herzog Contracting Corp. was recognized with a Merit Award in the Design-Build Civil category for the Sunrail Commuter Rail System in Orlando, FL. Special AGCMO Member Recognition Awards went to John Alberici of St. Louis-based Alberici Constructors, Inc. for 40 years of contributions to the 535 Club (the highest PAC level). Al Landes of Herzog Contracting Corp. also was honored for 25 years of contributions to the 535 Club. Frank Wilson with Eddie Stewart, president of AGC of America. 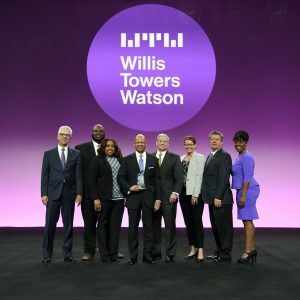 Far right is Kim Waller, Willis Towers Watson. Each year, the AGC president is given power to bestow special awards at his/her discretion. 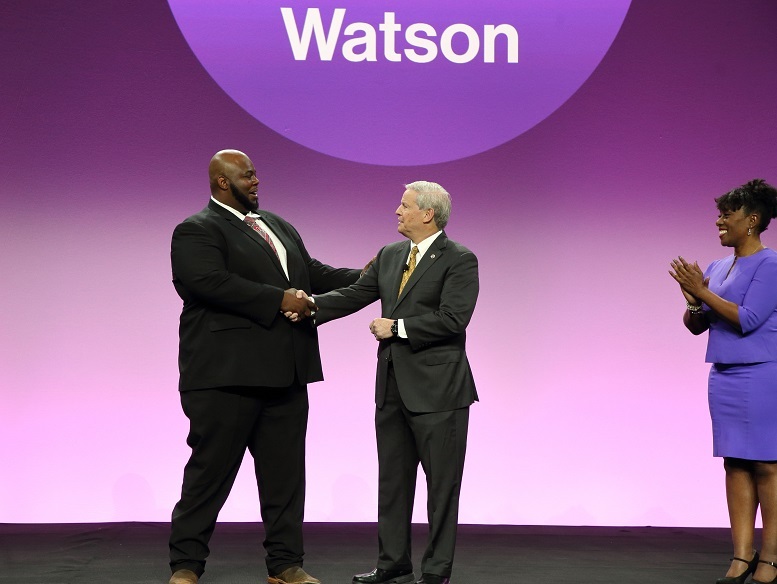 This year, Eddie Stewart, president of AGCA, recognized Frank Wilson of St. Louis-based BFW Contracting LLC with a Chairman of the Year Award for service, leadership and dedication to the Diversity and Inclusion Committee. Chapter Diversity & Inclusion Award (L to R) Len Toenjes, AGCMO; Frank Wilson, BFW Contracting LLC; Monica Bailey, McCarthy Building Companies; Steve Lewis, AGCMO; Eddie Stewart, President, AGC of America; Becky Spurgeon, Interface Construction Corporation; Bill Wagner, S. M. Wilson & Co.; and, Kim Waller, Willis Towers Watson. The AGCMO chapter also received a Diversity & Inclusion Excellence Award for being champions in advancing diversity and fostering a culture of inclusion within their workforce, supply chain and in the communities they serve. The award was accepted by Steve Lewis, vice-president and Len Toenjes, president, AGCMO; Frank Wilson, BFW Contracting LLC; and Monica Bailey, McCarthy Building Companies; Becky Spurgeon, Interface Construction Corp.; and Bill Wagner, S. M. Wilson & Co. – all from the St. Louis area. 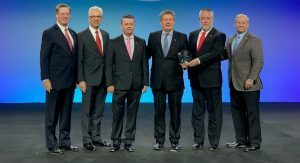 L to R: Michael Anderson, chair, AGC Charities; Len Toenjes, AGCMO; Chip Jones, Emery Sapp & Sons, Inc.; Bill Wagner, S. M. Wilson & Co.; Ed Twehous, Twehous Excavating Co., Inc.; and, Eddie Stewart, president of AGC of America. The Associated General Contractors of Missouri is the leading voice of the construction industry in Missouri, representing over 500 commercial, industrial, heavy and highway contractors, industry partners and related firms in 110 counties throughout Missouri.